Dr. James Mugisha gwa Kikira kya Mbagyeruka gave me a printed copy of this photograph more than ten years ago. It is one of my most treasured records of our history, not only because I knew many of these elders but also because it presents leaders who were very firmly grounded and honourable in the way they carried themselves. Although they had differences of opinion, religious and political clashes and suffered the disadvantages of a huge gender imbalance, they were driven by a collective desire to advance Kigezi. Oh yes, they fought partisan battles. Things got ugly. But Kigezi always came first. The two women in the photo are special to me. I am unable to be objective about them, for one of them, Mrs. Tereza Kabahita Mbire (front right) is my biological aunt and the other, Mrs. Irene Bisamunyu, was my social aunt and a very close family friend. These two ladies were the pioneers of the struggle for human equality in Kigezi, and were among the early leaders of the women’s movement in Uganda. Mrs. Mbire is alive and well and still serving our country. Mrs. Bisamunyu’s body rests at her home in Kasooni, Mparo, Kigezi, next to her husband Eli Nasani Bisamunyu, the first MP for Kigezi East (Rukiga County). Position Y from the left or the right. The full names, their home area, known offspring and other information. We want to know their stories, and to document them for posterity. Kikira: District Commissioner and Chairman, Electoral Commission. Kitaburaza: Secretary General and District Commissioner. Thank you Mr. Tindikahwa. A.G. Bazanyamaaso became Member of Parliament for Kigezi South West (Bufumbira) in 1962. Remained MP till the military takeover in 1971. Was appointed Ambassador to Rwanda during Obote II. Mr. David Komukoryo left Kigezi in 1966/7 and became the Director of the Uganda Business Bureau in Kampala. Mr. John W. Rwagalla had an interesting story as Speaker. Charles Kabuga’s book is worth reading. he details these things. Rwagalla chose to return to teaching. Was headmaster of Bukinda Primary School for many years. This is very interesting, but could we know the time roughly when the photograph was taken? 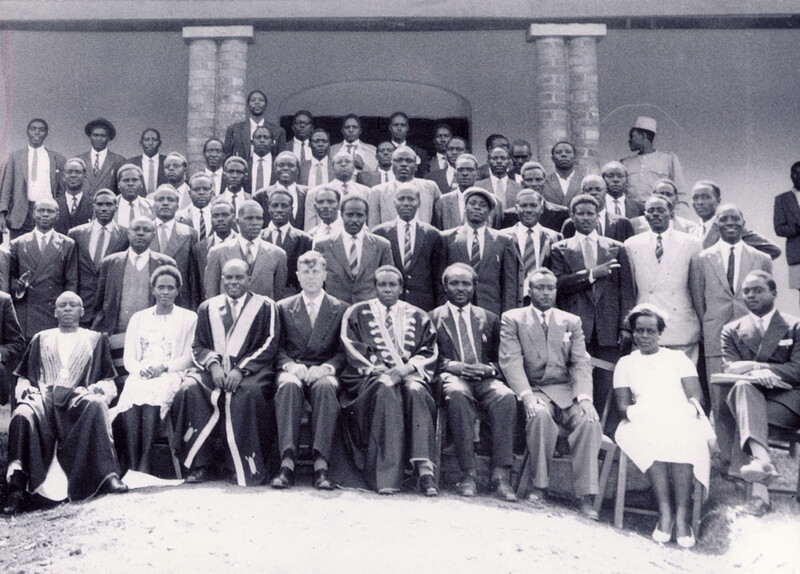 As the title says, this is the Kigezi District Council 1961. Thanks. Very wonderful.. I am still young so I don’t know some, except Rwagala who as our family friend. I know only 2 who are still living: Mrs. Tereza Kabahita Mbire and Mr. Hezron Kakuyo. Mr. Hezron Kakuyo in second row is my father. Below is his profile which lacks details but wil be updated later. 1935 – 1940: -Joined Kinyasano Elementary Vernacular School. 1944 – 1946:	-Joined 2nd World War Army in what was then called Kings African Rifles. 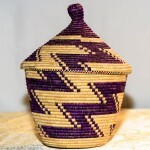 -Trained in East African Army Medical Corps, qualified as a Nursing Orderly. 1947 – 1949:	-Trained as a Medical Assistant, Masaka Medical Training Centre. 1950:	-Qualified & worked as a Medical Assistant, Masaka Training Centre as a Tutor for one year. 1951 – 1954:	-Worked as a Medical Assistant in Kabale Hospital & Rukungiri Medical Centre as Officer-in-Charge. 1954:	-Worked as a Gombolola Chief in Nyakagyeme, Rujumbura County, Rukungiri District. 1957 – 1958:	-Went to Britain & took a course in Public & Social Administration, obtained a Diploma in Public & Social Administration. 1959 Nov. – 1968: Became Saza Chief of Kinkizi. 1968 – 1969:	-Became District Commissioner Kasese District. 1968-69: – Assistant District Commissioner Tororo District, Fort Portal. 1969-1972: – District Commissioner Masindi District. Masindi. 1972-1974: – District Commissioner Busoga District,Jinja. 1974 – March, 1976: – Provincial Executive Secretary ( Deputy Governor) Busoga Province. 1976 March:	-Retired from Civil Service. 1980:	-Worked as Chairman, District Service Committee, Mbarara District for one year. 1982 – 2011:	-Worked as a Councillor, Kikatsi LC III in an Advisory capacity as an Elder. 1935 – 1940: Joined Kinyasano Elementary Vernacular School. Hmmmm! Where would one start with a photograph like this? First, even the fact that the photo was given to you by a Kikira is significant. His father was a man I learned to know and like as soon as I opened my eyes. He was always discussing politics and government with my parents. My mother died in August 1995, 2 years after her daughter, Peace, and 9 after Edmund Roy, my late brother, with whom she must have been pregnant when the photo was taken. The late Komukoryo of Kyobugombe was a close relation of my mother’s mother, Janet Nyinamahugu. On her death, my mother and her siblings joined Constance Hornby’s household and were brought up by her. It was this stroke of bad luck that led to my mother’s unique opportunity for education. Both Mrs Merab Kivengere and Miss Lilian Clarke, who became my godmother, told me that they had no student like her. At 14 she beat of Uganda in an exam she was given spontaneously at Miss Clarke’s insistence after the then DC demurred, saying that there would be no scholarships for girls. In spite of him she went to Gayaza and then on to Buloba for 3 diplomas before beating all of Uganda, again, in a contest for a scholarship to the University of Bristol. Maama was a member of many Ugandan prime ministerial and other delegations to many countries including Singapore, China, Yugoslavia, India, Finland, Russia, Japan, USA, etc. The most profound memory I have of her is an exceptional story for Indians when I meet them: In India with a delegation led by Obote to visit Prime Minister Nehru, she was deeply touched by the sight of leprotic beggars outside the Palace in New Delhi as her limousine sped out into the streets. Moved by that, Maama returned to Uganda to ask her relations to look after us and to pack her bags again for a longer tour of India, where she worked for a year as a social worker among the poor of New Delhi and Bombay. So, I always tell my Indian friend that we shared the same mother! Later, her delegation’s visit to China and dinner with Charman Mao gave me the finest story for an introduction and easy acceptance in a country that would otherwise have preferred a European teaching to teach them chemistry. My mother met my father when he was Choir Prefect of Mwiri and she was Choir Prefect of Gayaza. After both their choirs won, they met on stage and discovered then that they were both from Kigezi. One had mastered Luganda and won a top prize in the language, and the other had learned Lusoga so well that he was mistaken for an Omusoga and thus made Head Prefect at Mwiri. Yet their love of Kigezi inspired them to serve in ways that I can never forget and for which I am deeply grateful.